106 BaF3 Aut (V658I), Aut (F958V) were treated for 30 min with 100 nM, 1 μM or 10 μM INCB018424 inhibitor or with DMSO as a control (-condition), lysed and subjected to Western blot analysis. Phosphorylation of JAK1 and STAT5 was detected using specific anti-pY1034/35 JAK1 and anti-pY694 STAT5. 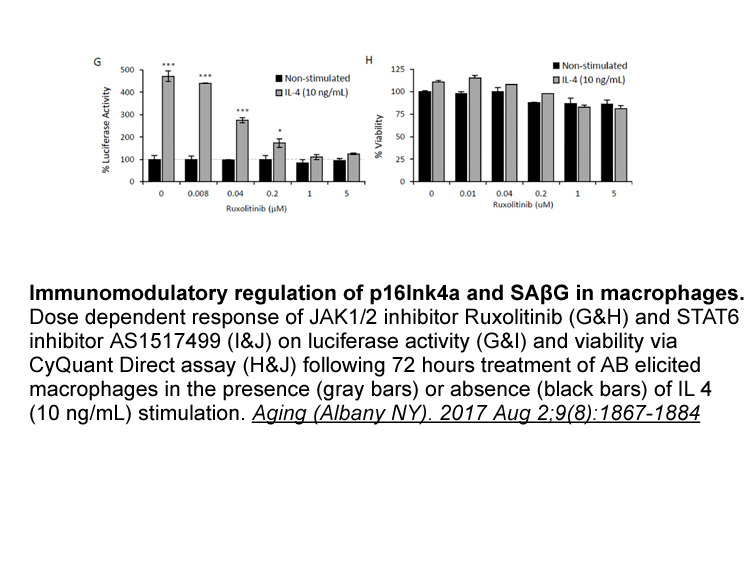 Membranes were re-probed with anti-JAK1, anti-STAT5 and anti-β-Actin antibodies as a control. Similar results were obtained in 3 independent experiments. Quintás-Cardama A, Vaddi K, Liu P, et al. Preclinical characterization of the selective JAK1/2 inhibitor INCB018424: therapeutic implications for the treatment of myeloproliferative neoplasms. Blood, 2010, 115(15): 3109-3117. Heine A, Held S A E, Daecke S N, et al. 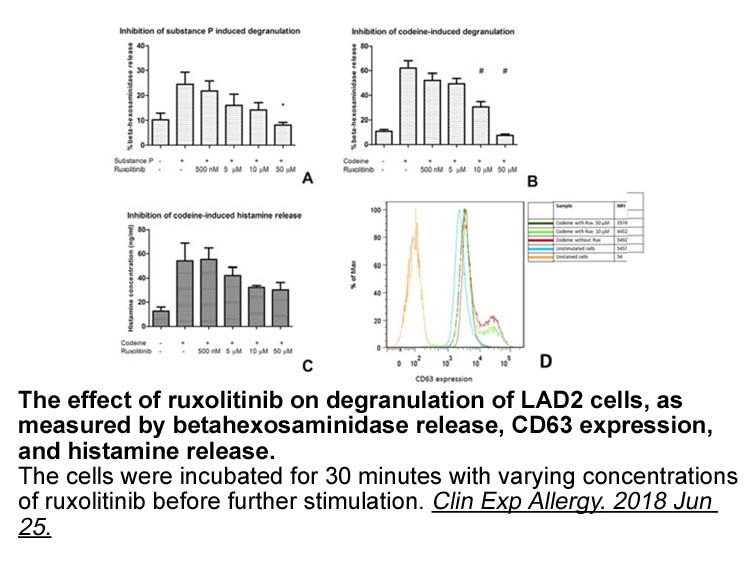 The JAK-inhibitor ruxolitinib impairs dendritic cell function in vitro and in vivo. Blood, 2013, 122(7): 1192-1202. 1. The effect of CYP3A4 inhibition or induction on the pharmacokinetics and pharmacodynamics of orally administered ruxolitinib (INCB018424 phosphate) in healthy volunteers. J Clin Pharmacol. 2012 Jun;52(6):809-18. doi: 10.1177/0091270011405663. Epub 2011 May 20. 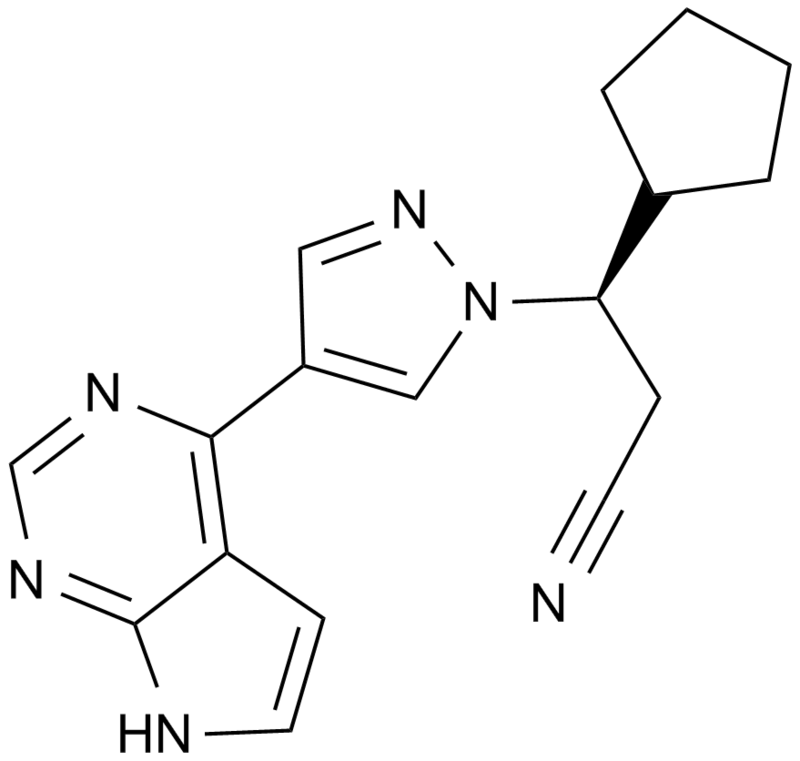 Ruxolitinib is a JAK1/2 inhibitor that is primarily metablized by CYP3A4. A 50% reduce in ruxolitinib dosage is suggested for the combination therapy of ruxolitinib with a potent CYP3A4 inhibitor due to greatly increased PD activity of ruxolitinib; while no ruxolitinib dosage adjustment is suggested for the combination of reuxolitinib with inducers or mild/moderate inhibitors of CYP3A4 due to no significant change in PD activity. 2. Population pharmacokinetic analysis of orally-administered ruxolitinib (INCB018424 Phosphate) in patients with primary myelofibrosis (PMF), post-polycythemia vera myelofibrosis (PPV-MF) or post-essential thrombocythemia myelofibrosis (PET MF). J Clin Pharmacol. 2013 Jul;53(7):721-30. doi: 10.1002/jcph.102. Epub 2013 May 16. The PK of ruxolitinib, a JAK1/2 inhibitor approved for the treatment of myelofibrosis, was not significantly affected by gender and body weight indicating no need to adjust ruxolitinib dose based on these two factors. 3. Tumoricidal effects of the JAK inhibitor Ruxolitinib (INC424) on hepatocellular carcinoma in vitro. Cancer Lett. 2013 Dec 1;341(2):224-30. doi: 10.1016/j.canlet.2013.08.009. Epub 2013 Aug 11. 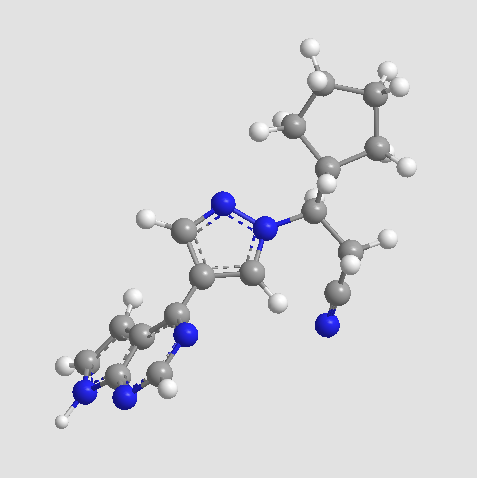 Ruxolitinib is a JAK inhibitor that has been approved by FDA to treat advanced myelofibrosis. 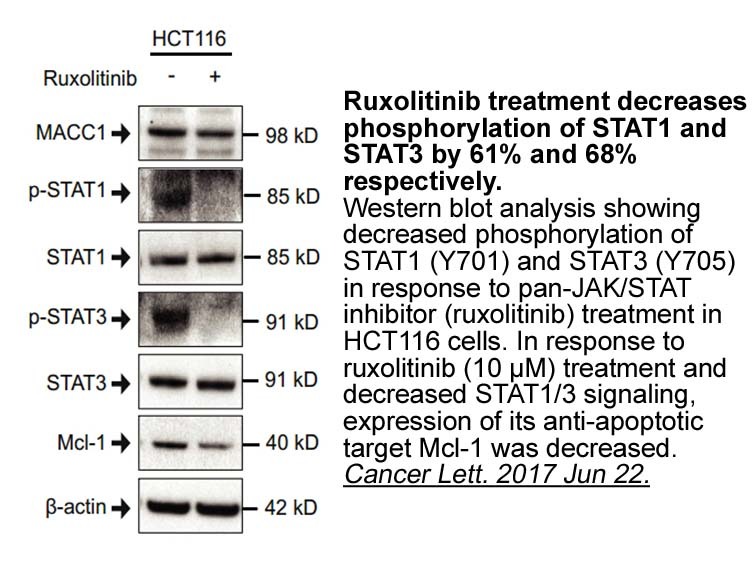 Since it’s a highly selective inhibitor of JAK/STAT signaling pathway, ruxolitinib significantly reduced proliferation, colony formation and expression of pSTAT1 and pSTAT3 in HCC cells. 4. Three-year efficacy, safety, and survival findings from COMFORT-II, a phase 3 study comparing ruxolitinib with best available therapy for myelofibrosis. Blood. 2013 Dec 12;122(25):4047-53. doi: 10.1182/blood-2013-02-485888. Epub 2013 Oct 30. Ruxolitinib, a JAK1/2 inhibitor, was well tolerated in MF patients participating in a randomized trial, where ruxolitinib sustainably reduced splenomegaly in patients and prolonged overall survival of patients with manageable side effects, including anemia and thrombocytopenia. 5. Health-related quality of life and symptoms in patients with myelofibrosis treated with ruxolitinib versus best available therapy. Br J Haematol. 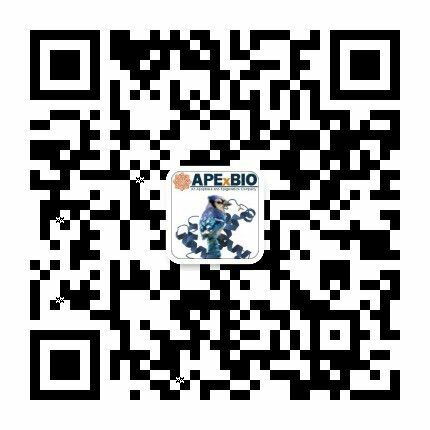 2013 Jul;162(2):229-39. doi: 10.1111/bjh.12375. Epub 2013 May 14. In the phase 3 COMFORT-II study, ruxolitinib, a JAK1/2 inhibitor, exhibited better efficacy for the treatment of MF patients than BAT in terms of HRQoL improvement, symptom relief and a few other factors. 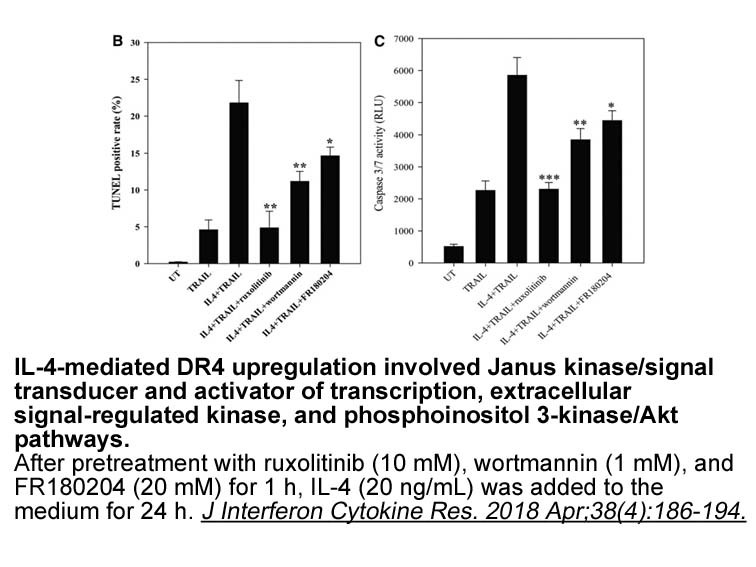 Ruxolitinib inhibits transforming JAK2 fusion proteins in vitro and induces complete cytogenetic remission in t (8; 9)(p22; p24)/PCM1-JAK2–positive chronic.